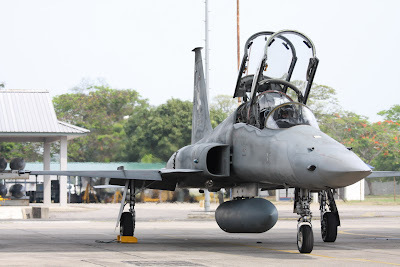 Thailand's air force will delay the retirement of its Northrop F-5 fleet after confirming that a plan to buy additional Saab Gripen fighters is off the table indefinitely. Bangkok signed a deal with the Swedish company in 2008 and planned a follow-up order in 2010, with each contract including six Gripen fighters and one Saab 340-based airborne early warning aircraft. However, the second deal is on hold after the Thai government cut its defence budget for the current fiscal year to 151 billion baht ($4.43 billion) from 171 billion baht. The military has taken the biggest hit as the country finds ways to fund an economic stimulus package. 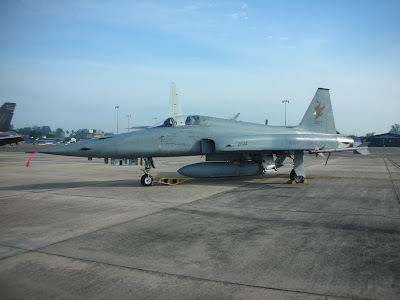 As a result, the Royal Thai Air Force's older F-5E/Fs, which have been operational for several decades, will continue to be in service until the middle of the next decade, say industry sources. These will operate together with the first six Gripens until the country goes ahead with a follow-up order, they add. "The air force had wanted to retire the older F-5s in 2013, when it planned to have an operational squadron of 12 Gripens. But now, they will continue to operate the F-5s as there is still no indication on when the budget for the Gripens will be back on the table. There is also no news on whether it needs to upgrade the F-5s, but that may be necessary at some point," says one source. Apart from the older F-5s, which are believed to number around 12, the service also has around 15 F-5T Tigers that were upgraded by Israel's Elbit earlier this decade and 60 upgraded Lockheed Martin F-16A/Bs in its inventory. 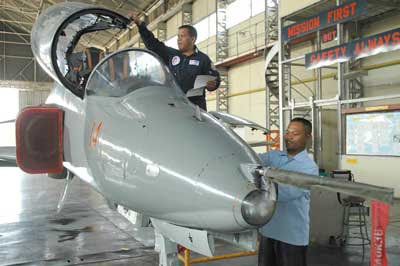 Saab has begun manufacturing the Thai Gripens and Bangkok hopes to induct its first three aircraft by end-2010 and put them into service by January 2011. 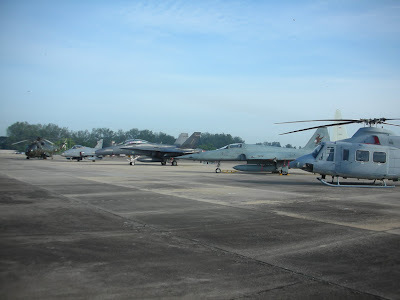 The remaining three should be in service by April 2011, says the air force. The service has chosen 10 pilots to train in Sweden, and investing 700 million baht to build new hangars and other facilities for the aircraft. 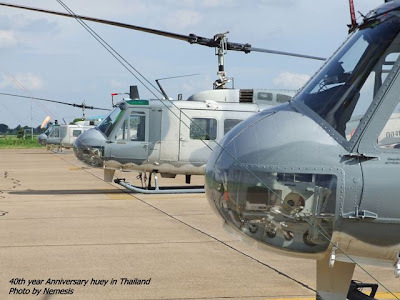 Thailand's armed forces also have requirements for new search and rescue, utility, and attack helicopters. However, these procurements have also been postponed due to the budget cuts. Earlier this year, the air force ordered a third Embraer ERJ-135 regional jet for VIP transport and medical evacuation missions. BVT Surface Fleet, the maritime joint venture between BAE Systems and VT Group, has today announced the signing of a contract with Bangkok Dock for the supply of a design of a 90m Offshore Patrol Vessel for the Royal Thai Navy, to be built in Thailand. The design is a development of an existing BVT OPV design and will be adapted by Bangkok Dock to suit the specific requirements of the Royal Thai Navy. The vessel is a multi-mission OPV, the primary roles of which will include protection of the EEZ, fishery protection, disaster relief and search and rescue. Commenting on the contract, BVT Chief Executive Alan Johnston said "BVT Surface Fleet will transfer design knowledge, technology and shipbuilding skills to Thai engineers and look forward to developing a long term partnership with Bangkok Dock and local industry that will help support the growth of a sustainable shipbuilding capability in Thailand. "This is a strategically important contract for BVT as we look to expand our international footprint and we are looking forward to working closely with Bangkok Dock over the coming years to deliver the requirements of the Royal Thai Navy". BVT Surface Fleet, a Joint Venture between BAE Systems and VT Group, is a leader in the design, manufacture, integration and support of naval ships, delivering complex engineering, integration and through-life support across the lifecycle of a vessel. 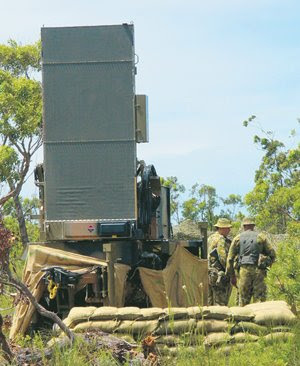 The project to upgrade the Australian army's Weapon Locating Radar has been announced a success after the radar achieved initial operational capability. Four of seven upgraded Weapon Locating Radars (AN/TPQ-36) have been delivered by prime contractor Raytheon; with the first subset of the capability system proven suitable and effective for operational employment. Speaking at a ceremony at 20th Surveillance and Target Acquisition Regiment at Enoggera Barracks in Brisbane to mark the success of the project, Greg Combet, Minister for Defence Personnel, Materiel and Science, said, 'the Australian AN/TPQ-36 Weapon Locating Radar capability provides the Australian Defence Force with the ability to locate enemy mortars, guns and rockets, enabling early warning for ground forces. The AN/TPQ-36 radar is highly mobile and sophisticated radar set capable of detecting weapon projectiles launched at any angle within selected 90-degree azimuth sectors over 360 degrees of coverage. The AN/TPQ-36 can locate simultaneous and volley-fire weapons. It is currently in service in the US Army and the US Marine Corps.The Weapon Locating Radars are being upgraded under Project Land 58 Phase 3 to extend their service life to 2015. 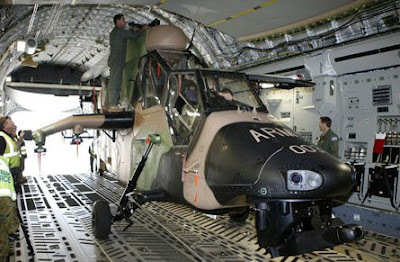 The Royal Australian Air Force has conducted a trial loading of an Australian Army Eurocopter Tiger armed reconnaissance helicopter aboard one of its Boeing C-17 strategic transports. Performed at Amberley air base in Queensland earlier this month, the trial saw one aircraft winched aboard a C-17 and secured, requiring the removal of three of the Tiger's main rotor blades and the barrel for its 30mm cannon. 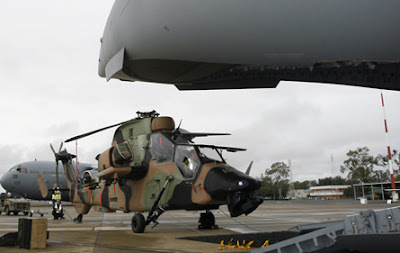 The air force's Air Movements Training and Development Unit from Richmond air base in New South Wales was involved in the activity, which would support any future decision to deploy the Tiger on an international operation. 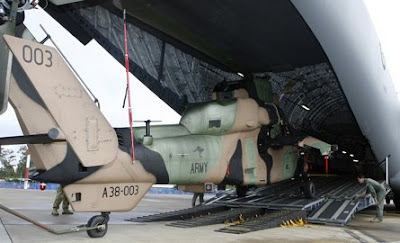 Australia's Army Aviation has now received 11 of its 22 Tigers, according to Flight's HeliCAS database, with the aircraft involved in the recent trials - A38-003 - having been received in March 2006. The RAAF operates a fleet of four C-17s, assigned to its 36 Sqn at Amberley. 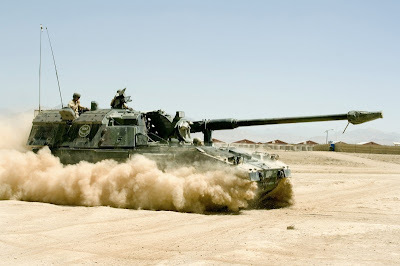 MELBOURNE, Australia: The German Krauss-Mafffei Wegmann-led consortium has dropped out of the competition to provide the Australian Army with a new 155mm self-propelled gun. KMW was teamed with BAE Systems Australia to offer the PZH-2000 for the contract to supply 18 guns. They are competing with a consortium consisting of Raytheon and Samsung Techwin that is offering the AS-9 gun. KMW cites problems with intellectual property as well as a requirement for more equitable risk-sharing with Australia as the reasons behind its decision not to participate in the offer definition and refinement process. According to Australian government sources, neither tender had fully met their contractual requirements. Only the Raytheon consortium has chosen to continue negotiations with the government. The Australian defense white paper, published last month, called for the acquisition of two batteries of self-propelled guns (a total of 12 guns) and four batteries of towed guns. The Defence Department hopes to wrap up a decision on the towed artillery later this year, with the M777 howitzer, built in the United States by BAE Systems, expected to be chosen. Singapore, KLS: The six Formidable class multi-role stealth frigates of the Singapore Navy are commissioned while the construction of the six MEKO 100 class NGPV for the Malaysian Navy is also close to completion and commission stage. Indonesian Navy’s four SIGMA 91 meter corvettes, which were bought from Damen Schelde Naval Shipbuilding in July 2004 have finished their construction and are commissioned now. From the construction of the SIGMAs to its commission, the process had taken five years and the last SIGMA Frans Kaisiepo held its commissioning ceremony on March 7 this year. The navy fleets of these three Southeast Asian countries Malaysia, Singapore and Indonesia are now equipped with a new maritime strike power. After the completion of the Formidable class, MEKO 100 and SIGMA and being commissioned one after another, the three countries have begun to think of new concepts and designs for the next generation of future surface warship. 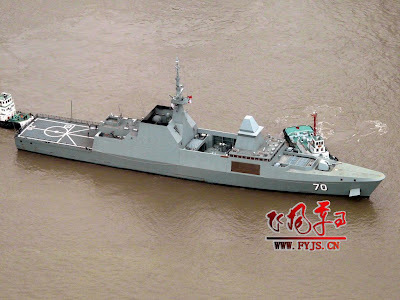 During IMDEX, The KLS journalist had spent 40 minutes to watch the ST video just to catch the 2-second clip of a new Frigate--"110 FRIGATE", which comes in a very simple and clean design, mast with no bridge structure, no helicopter hangar. ST Marine staff told KLS that the "110 FRIGATE" is still a concept model but the video had shown the determination of Singapore in incorporating stealth technology into its future surface boat. Unfortunately, the video did not touch on the combat system and weapons of "110 FRIGATE". On the other hand, Damen Schelde Naval Shipbuilding Product Development Manager Leon Goossens confirmed with KLS that Damen Schelde had recommended "SIGMA 10514" corvette to Indonesia. The 10514 means 105 meters long and 14 meters wide. The frigate focuses on regional air defence capability as it equipped 12 MICA vertical launch air defence missile system and uses the Smart-S radar system, which is the same with second batch frigate of Malaysia. Goossens pointed out that "SIGMA 10514" can provide better defence capability and the company had already explained Indonesia Navy and awaiting for the country’s reply. 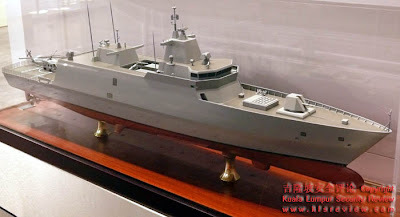 He also revealed Damen Schelde’s plan to promote "SIGMA 10514" to Malaysia although they knew that Malaysia Navy is using MEKO 100 and that there is a market opportunity to sell the ships to Malaysia. As for the next generation surface boat of Malaysian Navy, the British BAE System had displayed the second batch of missile frigate in the 2007 Langkawi International Maritime and Aerospace exhibition. 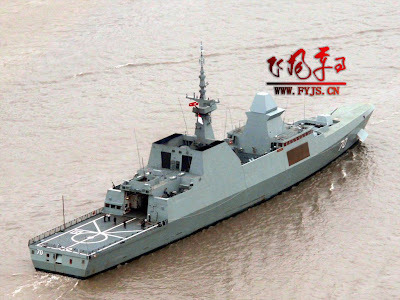 The second batch of missile frigate focuses on the same area air defence capability, which has vertical launching system and Smart-S radar system. In 2007, Malaysian government announced to form a second batch new generation of offshore patrol ship. By April 2008, Malaysian Navy announced the second batch new generation of offshore patrol ship as anti-submarine patrol ship. Today, "SIGMA 10514" will promote to Malaysia. It should be noted that whether Malaysian government will review the use of MEKO 100 operations platform. There is much more to see if the German’s TKMS that manufactures MEKO D 100 patrol frigate, will continue to come out with new program for its’ Malaysia market. IMDEX 2009, Germany TKMS launched MEKO D 100 program which is 98.20 meters long and 17 meters wide ship with displacement of 2490 tons and maximum speed of 26 knot and equips with 16 vertical launch system, its anti-ship missile device is designed to be kept under the deck, which will effectively reduce the radar from tracing it. 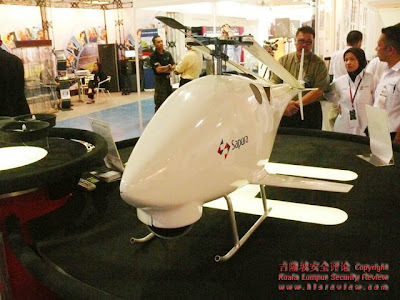 Kuala Lumpur : Malaysia Sapura Secured Technologies is already in March this year, the Air Force handed over to Thailand 3 CyberEye unmanned aerial vehicles, worth 3.5 million ringgit. This is the acquisition of Sapura Secured Technologies in Australian UAV company Cybertechnology first case of export transactions. Sapura Secured Technologies news in 2009 in the police and special equipment exhibition (GPEC 2009), the acceptance of KLS in an interview, so that the. 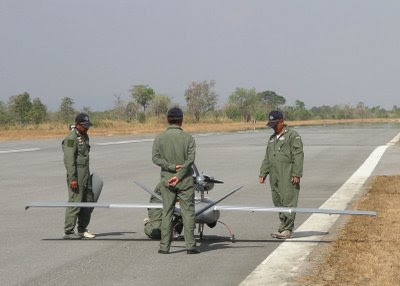 Thai Air Force in October 2008, Sapura Secured Technologies to three CyberEye UAV procurement. Sapura Secured Technologies News pointed out that despite the acquisition of Cybertechnology company, Sapura Secured Technologies in Malaysia is still no plan to set up production line of unmanned aerial vehicles. "At present, all of the unmanned aerial vehicles, both in Australia and production, the next it is possible to set up production lines in the local community depends on the lack of significant domestic orders." The Elbit Systems/Rockwell Collins joint venture Vision Systems International, LLC recently announced $54.1 million in contracts. These awards will begin production of their Helmet Mounted Display System (HMDS), which will equip all American and exported F-35 fighters. The contracts will cover low rate initial production (LRIP) Lots 1, 2 and 3, and run through 2012. They include Lockheed Martin’s purchase of 52 F-35 Gen II Helmet Mounted Displays, and 30 aircraft shipsets. VSI also received contracts for production tooling and initial funding for the Pilot Fit Facility Standup at Eglin Air Force Base, FL. When they entered widespread military use in the 1970s, Heads-Up Displays (HUD) that superimposed range and targeting information on a clear pane of glass at the head of the cockpit were revolutionary. Pilots no longer had to look down at their instruments in order to see critical information. Which meant that they didn’t have to take their eyes off of the ultra-fast action outside their plane. This was exceptionally useful to strike aircraft designed to fly and fire at altitudes below 100 feet. It soon proved equally useful to fighter pilots engaging enemy aircraft. Unlike the last 2 generations of fighters, however, F-35s won’t be built a HUD. Instead, they’ll take the next step, moving those functions and more to a display that’s part of the pilot’s helmet. 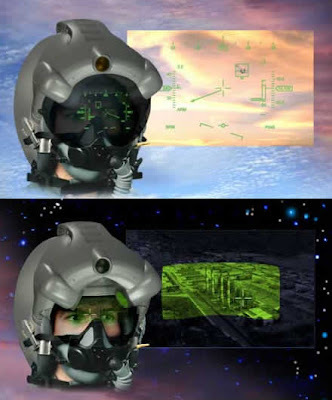 Like the HUD, HMDS allows the pilot to be “eyes out” at all times. 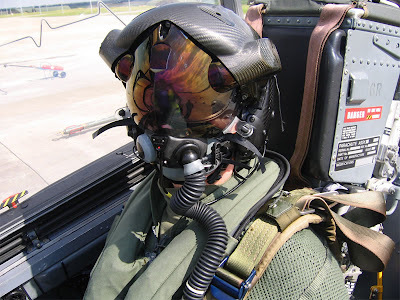 Unlike a traditional HUD, but like all helmet-mounted displays (HMD) such as VSI’s popular JHMCS, it also works no matter where that pilot looks. This is especially useful when targeting modern missiles, whose wide seeker cones and “lock-on after launch” guidance give them tremendous flexibility. HMDS is a next-generation HMD that shortens latency, while adding functions like sensor imagery/ synthetic vision, threat alerts – and even full 360 degree awareness, thanks to linked sensors like DAS that are embedded around the F-35. On the flip side, increasing helmet weight in a vehicle that can pull 9gs has its drawbacks. Systems like HMDS are spawning revised pilot ejection safety research, introducing new neck exercises for pilots, and of course sparking preliminary testing of HMDS itself for comfort, fit, and stability. The US Navy has released photographs of the Unmanned Little Bird (ULB) helicopter, a smaller variant of the larger, manned A/MH-6M, can be controlled by a pilot or piloted remotely. The ULB may be used for multiple missions that may include re-supply and casualty evacuation and is capable of carrying a 300-pound payload. Boeing’s website describes the Unmanned Little Bird Demonstrator as “a modified MD 530F single-turbine helicopter designed for optionally manned flight. 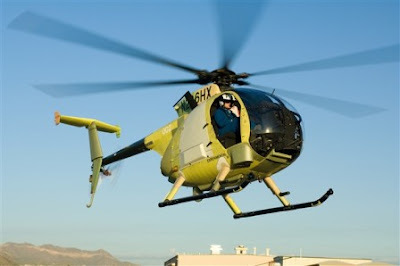 It won the AHS 2005 Grover E. Bell award for the best advancement in rotorcraft research that year. 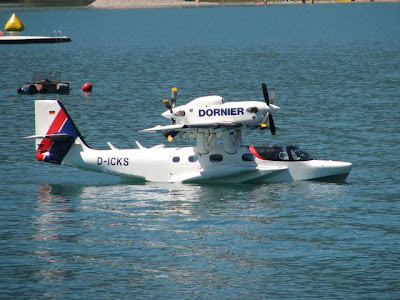 The platform is capable of dual pilot, single pilot or no pilot flight operations. It can be remotely operated or programmed for autonomous operations in any of these operational modes. The ULB is designed to test new manned and unmanned technologies and capabilities. Boeing R&D utilizing the Unmanned Little Bird demonstrated a variety of missions (resupply; intelligence, reconnaissance & surveillance; weaponization) and helped to shape the VTOL UAV market through flight experimentation. The aircraft has safely conducted more than 500 hours of UAV technology flight testing since its first flight in September 2004. It is supporting the definition and qualification of U.S. Army manned/unmanned aircraft operations. The growth unmanned variant based on the A/MH-6M aircraft is only being marketed internationally. Qantas Defence Services has received its second of four Airbus A330-200s to be converted to a multi-role tanker transport standard for the Royal Australian Air Force. Delivered to the company's Brisbane airport facilities in Queensland on 25 June from Airbus Military's Getafe site near Madrid in Spain, the aircraft will begin its transformation to the KC-30A configuration. This includes the addition of military equipment, under-wing hose and drogue refuelling pods and a refuelling boom mounted beneath its rear fuselage. 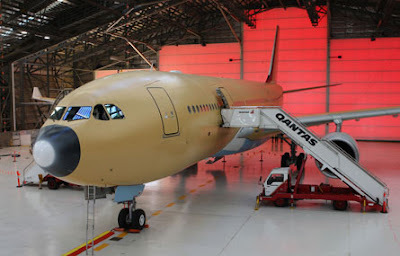 Qantas began converting its first A330 in June 2008, with this expected to be the first of five KC-30As - including a prototype now in advanced flight testing in Spain - to enter RAAF service from around mid-2010. Realising a swift and effective submarine rescue capability in the Asia-Pacific region requires cooperation and knowledge sharing among navies. That was the message Chief of Navy Rear-Admiral (RADM) Chew Men Leong delivered to the participants of the 9th Asia Pacific Submarine Conference (APSC). Held from 22 to 24 Jun, the annual event is hosted by the Republic of Singapore Navy (RSN) this year. "Given the expansive waters of the Asia-Pacific, which will make the race against time to mobilise rescue resources and bringing them to bear at the distressed submarine location all the more challenging... it is essential to build and maintain a strong network for submarine rescue collaboration among navies," said RADM Chew during his keynote address on 22 Jun. "APSC is important for the interdependence of all the navies. Any submarine rescue is going to involve more than one nation, no matter which submarine goes down. So we form connections here (at APSC) and get to meet all the key players from the various countries from around the region," echoed Commander (CDR) Jay Spencer, Commanding Officer Deep Submergence Unit from the United States Navy (USN). Attending APSC were over 50 personnel from 16 navies, as well as staff from the North Atlantic Treaty Organisation Headquarters (NATO HQ). NATO HQ is invited to the annual APSC sessions because it is directly involved in submarine rescue operations in the region. Inaugurated by the USN in 2001, the APSC develops and fosters regional cooperation among the submarine-operating navies in the Asia-Pacific. Singapore is hosting the event for the first time and it is only the fourth country after Australia, Japan and the US, to do so. As part of this year's APSC programme, participants visited MV Swift Rescue and Deep Search and Rescue Six (DSAR 6) at Changi Naval Base on 23 Jun. MV Swift Rescue is the ship that carries the equipment to launch DSAR 6 - the submersible rescue vessel that will link up with distressed submarines to evacuate trapped submariners. The DSAR 6 is capable of reaching a top speed of three knots (5.5 km/h) underwater and is able to reach depths of up to 500 metres. MV Swift Rescue is able to reach a top speed of 12.5 (23.15 km/h) knots with a maximum range of 3,000 nautical miles (5556 km). Together, the two vessels form the RSN's submarine rescue capability. Speaking on the new submarine rescue capability of the RSN, CDR Spencer told cyberpioneer: "We are very impressed with what the RSN has done with this system." "The RSN has put a lot of thought into integrating DSAR 6 with MV Swift Rescue," he said. MV Swift Rescue and DSAR 6 was designed as an integrated rescue platform. Upon rescue, submariners will be able to receive treatment immediately for any injuries sustained when they were trapped in the submarines. MV Swift Rescue was launched on 29 Nov 2008, with DSAR 6 delivered early this year. They are now both fully operational. The Harbin Z-9 is a Chinese military utility helicopter. It is a license-built version of the French Eurocopter Dauphin, and is manufactured by Harbin Aircraft Manufacturing Corporation. 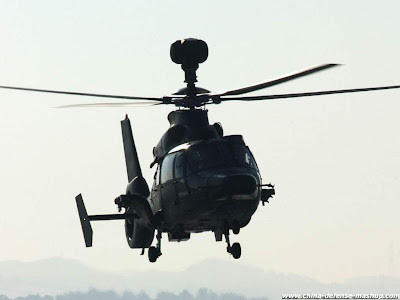 An attack helicopter variant has been fielded by the PLA since the early 1990s as the WZ-9 or Z-9W, with pylons fitted for anti-tank missiles. (photo : China Defense Mashup). MESA, Ariz., -- Boeing [NYSE: BA] today announced that the AH-64D Apache Block III prototype helicopter successfully demonstrated Level IV unmanned aircraft system (UAS) connectivity on June 8 during a flight test over the Arizona desert. Level IV UAS connectivity is one of the key technology enhancements being developed for the U.S. Army's Apache Block III attack helicopter program. At this level, the Apache crew is able to fully control the navigation of an assigned UAS. The capability provides enhanced situational awareness and over-the-horizon, beyond line-of-sight reconnaissance, improving survivability for the crew and the aircraft. (Level I connectivity is receipt and transmission of secondary imagery or data, Level II is receipt of imagery or data directly from the UAS and Level III is control of the UAS payload). During the test, the Apache proved capable of controlling the UAS via a Tactical Common Data Link connection. The Apache crew received real-time video from the UAS, controlled the UAS's three navigation-loiter patterns -- orbit, racetrack and figure eight -- and altered the UAS's airspeed and altitude. For this demonstration, Boeing, under Army direction, used a Boeing AH-6 helicopter as a surrogate for Sky Warrior, the Extended Range/Multi-Purpose UAS that is not yet available. "Integration of UAS control is a key technology for the Apache Block III helicopter as we prepare for the limited user test scheduled for later this year," said Scott Rudy, Boeing Apache Block III program manager. "The members of Team Apache -- the U.S. Army, Boeing and our industry partners -- are proud to have achieved this critical capability." 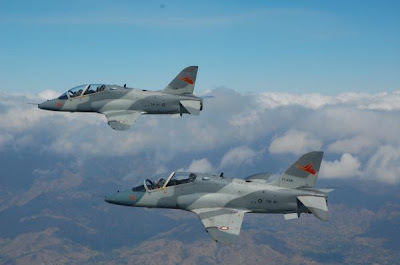 TEMPO Interaktif, Magetan: Skadron Teknik Lanud Iswahudi Magetan berhasil menghidupkan dan menerbangkan pesawat Hawk MK-53. Pesawat buatan Inggris yang dibeli pada tahun 1978 tersebut sudah lama menganggur karena mengalami kerusakan mesin. 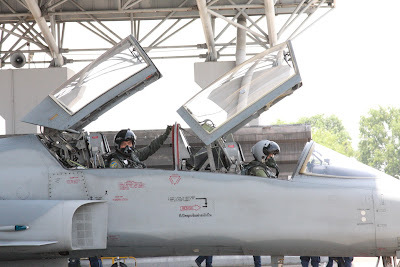 Kepala Penerangan dan Perpustakaan Lanud Iswahjudi Mayor Sus Sutrisno mengatakan upaya menerbangkan kembali pesawat Hawk MK-53 ini merupakan keberhasilan tersendiri bagi Skadron Teknik 042 Iswahudi. Selain sudah lama tidak digunakan, kerusakan mesin pesawat tersebut sangat parah. "Para Ground Crew (teknisi) kita bekerja keras untuk menghidupkannya. Setiap uji coba mesin mengandung tingkat kegagalan tinggi," kata Sutrisno, Selasa (23/6). Dia mencontohkan, salah satu uji coba yang paling rumit untuk menghidupkan kembali burung besi ini adalah pada tahapan ground running full performance test . Para teknisi dituntut teliti dan sabar dalam memperhitungkan kelembaban serta arah dan kecepatan angin agar sesuai dengan karakteristik mesin. Jika uji coba tersebut gagal dilakukan, pesawat tersebut terancam tidak akan bisa dipergunakan kembali. "Kami mencobanya pada pukul 03.00 - 06.00 WIB kemarin untuk memenuhi kondisi itu. Alhamdulillah berhasil," kata Sutrisno. Kesulitan lain yang dihadapi personil Skatek 042 yang dipimpin Mayor Tek Eko Fibriyanto ini adalah pengepasan ring mesin pesawat. Sebab pemasangan satu mesin saja diperlukan waktu hingga dua pekan. SURABAYA (SI) – Pusat Penerbangan TNI AL (Puspenerbal) pada 17 Juni lalu genap berusia 53 tahun. Puncak peringatan hari ulang tahun (HUT) ke-53 akan digelar hari ini di markas Puspenerbal, kompleks Pangkalan Udara TNI AL Juanda. Bersamaan HUT tahun ini, Puspenerbal menerima kabar gembira. 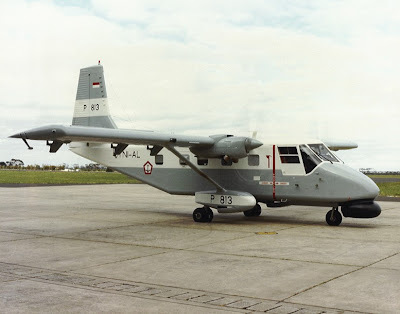 Sejumlah armada pesawat intai jenis Nomad bakal diganti dengan pesawat CN-235 produksi PT Dirgantara Indonesia (PT DI). Kendati baru sebatas rencana, dipastikan hal ini bisa menjadi kado istimewa bagi Puspenerbal. Rencana tersebut diharapkan menjadi tonggak penambahan sekaligus peremajaan alat utama sistem senjata (Alutsista) Puspenerbal TNI AL. Komandan Puspenerbal Laksamana Pertama (Laksma) Rudy Hendro Satmoko menegaskan, penggantian Nomad sebagai alutsista lama telah masuk dalam rencana strategi (renstra) 2010–2014. ”Dalam waktu dekat akan ditandatangani perjanjian dengan PT DI Bandung. Kami akan mengganti pesawat Nomad yang berumur 20 tahun ini dengan CN-235,” terang Rudy Hendro Satmoko di sela-sela geladi bersih peringatan HUT Puspenerbal kemarin. 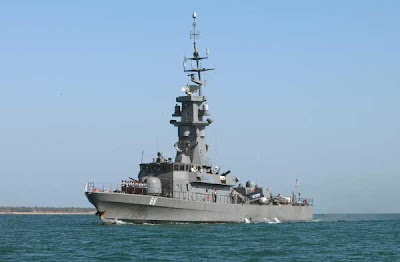 Menurut dia, CN-235 ini dilengkapi patroli maritim, radar, forward looking infrared, dan sarana lain pendukung pelaksana tugas. ”Ada tiga (unit CN-235) yang akan masuk ke Puspenerbal. Mudah-mudahan segera ditandatangani kontraknya. Kemudian sampai 2014 akan ada enam,” katanya. Rudy menambahkan, pesawat Nomad datang ke Surabaya antara 1983–1990. Terakhir datang pada 1993. Nomad yang datang lebih dulu akan diganti dengan CN-235. Nomad yang datang belakangan akan tetap dimanfaatkan antara 5–10 tahun ke depan sambil menunggu pengganti. ”Kita sekarang masih cukup optimal penggunaan Nomad ini. Memang harus dengan ekstra maintenance untuk melaksanakan tugas nihil kecelakaan. Kita di laut, penerbangan rendah untuk mengintai kapal. Kalau tinggi-tinggi, nggak bisa melihat jenis kapalnya,” terangnya. Rencana tersebut, lanjutnya, dinilai masih belum cukup. 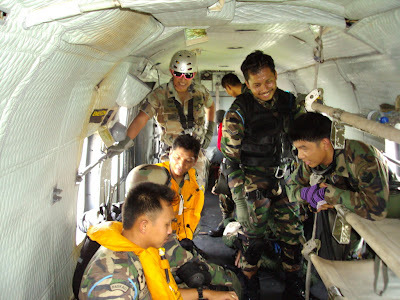 Puspenerbal juga menggagas menambah jumlah helikopter. ”Saya (sempat) ke Paris Air Show melihat peluang-peluang untuk kita menambah unsur helikopter antikapal selam. Masih belum tentukan jenis pesawat apa? Tapi jenis pesawat helikopter antikapal selam,” urainya. Pesawat helikopter ini ke depan akan menjadi satu paket dengan Kapal Perang Republik Indonesia (KRI). 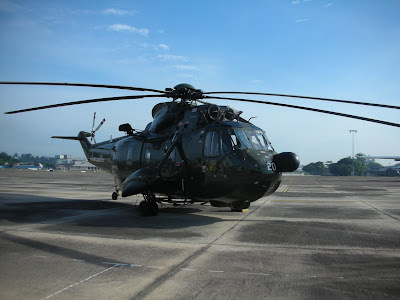 ”Pesawat helikopter memang bisa onboard di KRI. Jadi,nanti satu kelengkapan dengan KRI di kapal,” tegasnya. Kendati demikian, kata Rudy, masih diperlukan banyak kajian untuk menentukan jenis pesawat helikopter yang akan dibeli. ”Yang jelas punya radar, punya sonar, dan dilengkapi senjata torpedo, dan rudal antikapal permukaan. Sebagai bagian dari different effect, efek penangkalan. Seperti sekarang di Ambalat, kita sering dilecehkan. Paling tidak (keberadaannya) bisa mengimbangi, ”paparnya. Selama penambahan sekaligus peremajaan belum terealisasi, imbuhnya, Puspenerbal mengedepankan aspek manajemen. ”Memang faktor anggaran sangat penting dalam penyiapan personil maupun materiil pesawat udara. Tetapi sebetulnya, yang lebih penting adalah faktor manajemen. Artinya begini, dalam pesawat udara ada filosofi go or no go,terbang atau tidak. 100% atau 0%. Tidak boleh setengah-setengah, 50%. Jika 0% tidak boleh terbang, 100% boleh terbang,” bebernya. Untuk mencapai 100%, Puspenerbal dihadapkan kendala anggaran. Karena itu, melalui manajemen Puspenerbal mengedepankan asas prioritas. Jadi, dalam operasional dicapai nihil kecelakaan. Untuk mencapai nihil kecelakaan, Puspenerbal bukan hanya menyiapkan alutsista untuk supaya bisa 100% dioperasikan. Namun, juga menyentuh aspek psikologi serta medical check setiap 6 bulan bagi penerbang atau awak lainnya. ”Kemudian setiap enam bulan juga dilaksanakan pengecekan. Jadi, mereka terbang setiap enam bulan bersama instruktur dicek lagi. Penerbang ini masih baik atau tidak? Dilihat, ada kecenderungan menurun, stop dia, dilatih lagi. Tajamkan fungsi manajemen untuk mencapai nihil kecelakaan,” pungkasnya. Sementara itu, pada upacara HUT ke 53 Puspenerbal hari ini dijadwalkan Kepala Staf Angkatan Laut (KSAL) Laksmana TNI Tedjo Edhy Purdijatno sebagai inspektur upacara. Sipamdok dan Publikasi Puspenerbal Mayor Laut (p) Dani Hamdani menambahkan, tema HUT Penerbangan tahun ini adalah ”Dengan Semangat Darma Jalakaca Putra, Penerbangan TNI AL bertekad meningkatkan profesionalisme dalam pengabdian terbaik kepada bangsa dan negara. ”Tema tersebut sangat relevan dengan tekad luhur yang terkandung dalam upaya mewujudkan penerbangan TNI AL yang besar,kuat, dan profesional,” tandas Dani. Menurut dia, bersamaan peringatan ulang tahun ke-53,Puspenerbal bukanlah organisasi yang muda. Namun, cukup dewasa untuk dapat lebih mandiri dan mengaplikasikan tugas pokok dengan meningkatkan kemampuan secara profesional. Selain itu, lanjutnya, mensinergikan seluruh jajaran di bawah pembinaan Puspenerbal. 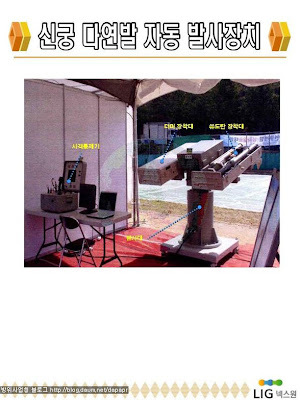 SEOUL - LIG Nex1, a leading defense firm in South Korea, has developed an indigenous identification, friend or foe (IFF) system for its "Shingung" portable ground-to-air weapons, the company announced June 21. The four-year joint development with the state-run Agency for Defense Development was completed in May following successful test trials both by the Defense Acquisition Program Administration and the Army, LIG Nex1 said in a news release. About 5 billion won ($3.9 million) was spent to develop the IFF, an electronic system that can determine the intent of an aircraft with the speed of the fastest computer, it said. Company officials expect the sophisticated identification system will not only greatly upgrade the country's air defense capability, but also have the potential of defense exports amounting to 100 billion won ($79 million) in the coming years. 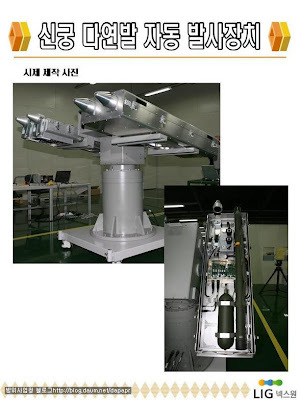 "The South Korean military have had to use IFF systems built by U.S., French and other foreign defense firms" in the past, said Kim Soo-hong, an executive director of LIG Nex 1. "We're planning to further develop the IFF system enough to be fitted with other similar weapons systems, not just the Shingung anti-aircraft missile." The Shingung is a shoulder-launched anti-aircraft missile capable of hitting targets as high as 3.5 kilometers with a speed of Mach 2.0. It has a distance range of 7 kilometers. Established in 1976 as Glodstar Precision, LIG Nex1 develops and manufactures a wide range of defense systems, such as precision-guided missiles, underwater systems, radar, fire-control systems, communications, electronic warfare and avionics. Major products include the "Hyeonmoo" medium-range ground-to-ground missile with a range of 180 kilometers; the "Haeseong" cruise missile with a range of 150 kilometers; and the "Cheonma" self-propelled surface-to-air missile system, also known as K-SAM, with an effective range of 10 kilometers. 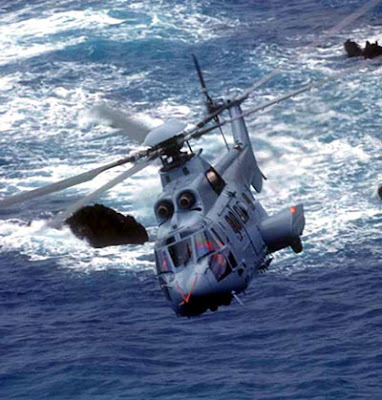 Eurocopter could be on the verge of a major military deal with Vietnam after confirming that it is in negotiations to sell helicopters to the Southeast Asian country's navy. The service is in talks to buy several EC225 and EC155 helicopters and Norbert Ducrot, Eurocopter's senior vice-president for sales and customer relations in Asia Pacific, says that a deal could be made before end-2009. "We are having good discussions with Vietnam on this issue," says Ducrot. "Eurocopter has an excellent relationship with Vietnam and the discussions with the navy are going well. We are hopeful of a breakthrough this year." The country's navy primarily uses its helicopters for search and rescue and transport missions, according to industry sources. 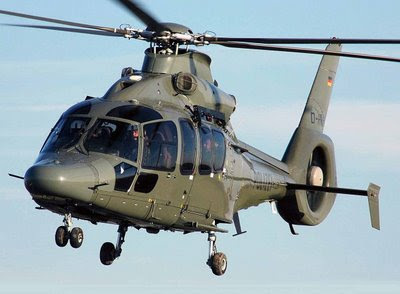 Older Eurocopter helicopters such as the SA365 N2 Dauphin, Eurocopter AS350 B3 Ecureuil, SA330J Puma and AS332 L2 Super Puma are already in service with the country's air force. Vietnam opened its economy in the early 1990s and registered one of the highest annual gross domestic product growth rates in Asia for several years until last year's global economic crisis. Investment from US and European companies has helped it to wean itself off a dependence on the former Soviet Union and Russia, and that could soon be the case in the military sector as well. Since the end of the Vietnam War in the 1970s, the country has mostly bought Soviet-bloc and Russian arms. 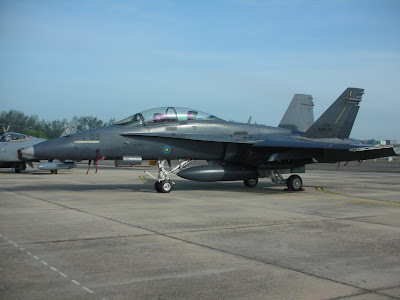 The air force, for instance, has ordered 24 Sukhoi Su-30MK2s and received 12 of them. It seeks more fighters and officials from Lockheed and Boeing say that they have received positive signals about their prospects in what could potentially be a huge market. 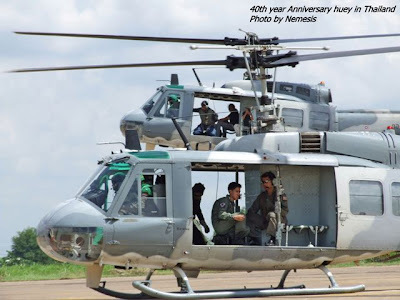 Huey UH-1 merupakan versi militer dari helikopter Bell-204 dan Bell-205. 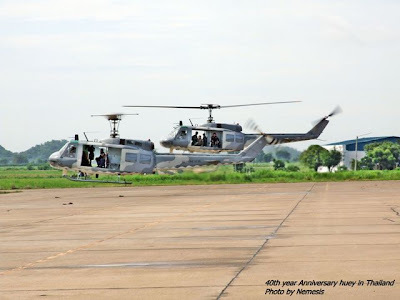 Versi awal heli ini adalah UH-1B (Bell 204) dan dilanjutkan dengan UH-1H (Bell 205) yang banyak digunakan secara luas termasuk oleh Thailand. 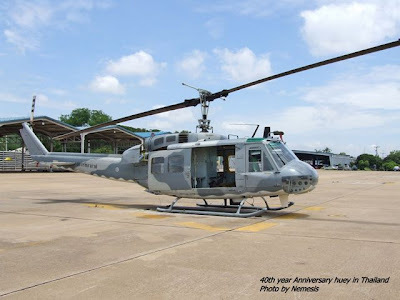 Dari Bell 205 ini kemudian muncul beberapa derivatif yaitu Bell UH-1C (Bell 211), Bell UH-1N (Bell 212) dan kemudian Bell 412 (versi Bell 212 dengan 4 bilah baling-baling semi-rigid rotor system). 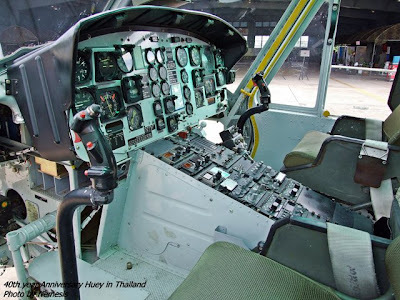 Thailand mengoperasikan helikopter jenis Huey ini sejak tahun 1968. 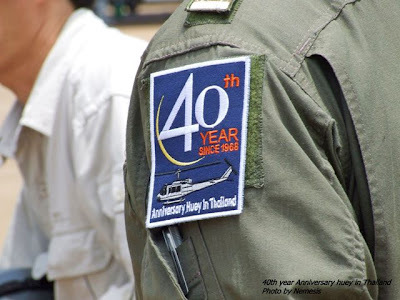 Pemakainya adalah Angkatan Udara Thailand (RTAF), dan pada tanggal 26 Mei 2009 lalu dilakukan perayaan atas usia pakai yang sudah mencapai 40 tahun tersebut. Maintenance yang baik merupakan kunci utama untuk dapat mengoperasikan alutsista dalam kurun waktu yang panjang ini. 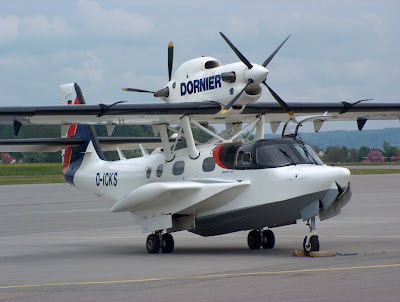 BANDUNG, (PR).- PT Dirgantara Indonesia (PT DI) akan memproduksi pesawat amfibi melalui kerja sama under license dengan perusahaan pesawat Jerman Dornier Seawings. "Saat ini, PT DI sedang mempersiapkan produksi dan customer support untuk mendukung layanan purnajual. Dan, pesawat amfibi tersebut akan mulai dipasarkan tahun 2012," kata Direktur Teknologi dan Pengembangan PT Dirgantara Indonesia, Andi Alisyahbana di Bandung kemarin. Menurutnya, pesawat amfibi memiliki potensi ekonomis dan cocok dengan kondisi Indonesia yang 62% konsentrasi dan perekonomian masyarakatnya ada di wilayah pesisir laut, danau, dan sungai. Selain itu, 70% wilayah nasional merupakan perairan. "Jadi, apa pun kendaraan yang bisa memiliki kemampuan water base transportation pasti akan memiliki potensi ekonomi yang sangat besar," ujarnya. Market penggunaan pesawat amfibi sangat besar. Menurutnya, bupati yang biasanya sulit mencapai pelosok dan membutuhkan waktu hingga 2-3 hari menjangkau daerahnya dengan pesawat itu nantinya mereka hanya membutuhkan waktu kurang dari sejam. Andi menuturkan pesawat amfibi itu mampu mendarat di darat dan di air sehingga bisa jadi solusi bagi Indonesia yang merupakan negara kepulauan. Menurutnya, bila membuat landasan pesawat dan airport kan membutuhkan biaya sangat mahal dan lahan yang luas. "Pesawat amfibi tersebut membutuhkan amphibiport untuk tempat menurunkan penumpang dengan luas lahan hanya sebesar pesawat itu sendiri. Rasio perbandingannya dengan pembuatan airport biasa adalah sekitar 1 : 8," tuturnya. These Formidable vessels carry a formidable array of sensors and armaments. MBDA Aster-15 and Aster-30 15-km (8-nm) and 30-km Thales Herakles multi-function radar, a Terma Scanter E/F and I/J-band navigation and surveillance radar, and a ITT Corporation Model 997 Anti-Submarine Warfare (ASW) sonar. Amazingly, thanks to the utilisation of technology, these ships have a complement of 60 crew compared to the 141 crew on the French La Fayette vessels. The low staffing levels are an important consideration given the manpower pressures that the RSN suffers due to the country's small population. The frigates will bolster the RSN's surface fleet which also includes the six Victory class corvettes which entered RSN service from 1990 and which comprise the navy's 188 Squadron. The RSN's Victory and Formidable-class vessels are also joined by the twelve Fearless-class patrol vessels designed for Anti-Submarine Warfare (ASW) which comprise 182/189 Squadron. The RSN's amphibious assets fall under the responsibility of the service's 191 Squadron. By the mid-1990s the force had been reoriented away from its erstwhile mission of assisting Army training deployments abroard, and for the provision of Midshipman Sea training, to become a naval rapid reaction force. To this end, the RSN received the RSS Perseverance; a former Royal Navy ‘Sir Lancelot’-class Landing Ship Logistics in 1994. Two years' after the Perseverance's arrival two new Enduranceclass LSTs were ordered from ST Marine. These are the largest ships ever operated by the RSN. A total of four ships; Endurance, Resolution, Persistence and Endeavour comprise the class, and their entry into service has allowed the ex- US Navy ‘County’ class LSTs, acquired in the early 1970s, to be decommissioned. The lead ship in the Endurance-class, RSS Endurance, made history in 2000 as the first RSS vessel to circumnavigate the globe. Endurance class vessels have also assisted humanitarian operations during the aftermath of the 2004 Tsunami in Aceh, Indonesia. Moreover, the RSN's mine warfare capability has experienced a substantial modernisation. In 1995, the Navy acquired the first of its four ‘Landsort’ class mine countermeasures vessels which form 194 Squadron. The Landsort ships were acquired to replace the two ex-US Navy ‘Bluebird’ class minesweepers which had been acquired in 1975. All four of the ships of the Landsort class were acquired by the RSN by 1996, and were deployed with COSCOM. These vessels are equipped with a Northrop Grumman MAINS mine countermeasures and navigation command and control system, along with Remotely-Operated Vehicles (ROVs) for mine disposal. These ships are instrumental in ensuring that the country's SLOCs remain clear of any mines. Looking towards the future, over the next year, the RSN's Formidable class frigates will be enhanced with the arrival of six Sikorsky S- 70B naval helicopters. 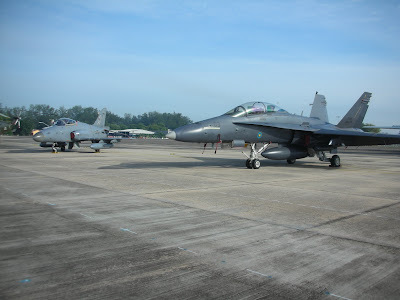 The RSN has no organic naval aviation and these aircraft will be operated by Republic of Singapore Air Force (RSAF) personnel. The helicopters will be equipped to perform anti-surface and ASW, while also acting as an over-the-horizon reconnaissance and surveillance platform for the ships. All six of the helicopters are expected to be delivered to the RSAF by the end of this year. In recent years, the RSN has been a trailblazer in the use of Unmanned Surface Vehicle (USVs) Along with the Heil HaYam HaYisraeli (Israeli Sea Corps), the RSN has acquired Protector USVs. In 2003, a number of Protector craft were despatched to the Persian Gulf, along with the RSS Endurance, to assist multinational peacekeeping efforts in the Persian Gulf. These small, but able, craft demonstrated their abilities to perform up to eight hours of surveillance per day. The RSN is now reportedly interested in acquiring a rotary-wing Unmanned Air Vehice (UAV). No acquisition programme has been publicly announced, although the navy is said to be interested in the Schiebel S-100 Camcopter as a possible solution. In terms of surface craft, one capability that the RSN currently lacks is underway replenishment. The procurement of vessels that could fulfil this function would give the RSN a valuable means of enhancing its self-sufficiency, and also of projecting its power further east into the South China Sea. However, the acquisition of such a capability is not without risks, and could be seen by some of Singapore's neighbours as the RSN adopting a more aggressive posture. The country's acquisition of its Challenger class submarines was said to have provoked a mini-arms race in the south east Asian region with Malaysia deciding to acquire its ‘Scorpene’ class boats in 2006, and Indonesia also in the market for submarines. On the other hand, these two countries also have important maritime security concerns visa- vis piracy; arms and drug trafficking, and the security of their SLOCs. The submarine acquisitions could be as much about addressing these concerns, as responding to Singapore's naval modernisation. In terms of amphibious capabilities, the procurement of the Endurance class LSTs could receive a further enhancement with the acquisition of hovercraft to support amphibious operations. The RSN performed some experiments with a locally-built ST Engineering Tiger-40 hovercraft in the early 1990s. The RSN may decide to acquire a large Landing Craft Air Cushioned (LCAC) style hovercraft of a similar design to the Textron Marine vehicles used by the United States Marine Corps to move heavy equipment, and large numbers of troops, from ship to shore. As the RSN looks to the future, it will have several maritime security challenges to address. Arguably the most important is the security of its port facilities. The country has the world’s biggest port in terms of total shipping tonnage, and is also home to the world’s busiest container port. Any attempt to close the port by terrorism or by an act of war, even for a day, could have a serious effect on Singapore's economy. Acts of sabotage below the waves around Singapore's locale could also play havoc for the island. A dark portent of possible disaster was shown in December 2000 when a trunk cable carrying electronic communications under the Strait of Malacca was damaged. The result was massive disruption to internet services in Singapore, Indonesia and Australia. Along with its port, Singapore's other big earner is financial services. A similar loss of internet connectivity in the future caused by the sub-sea sabotage of such a cable could cause expensive disruption to the country's financial services industry, and also a loss in confidence in the security of the country as a base from where such business can be conducted. China's maritime claims will also continue to be a cause of concern for the RSN. Since 1995, the government in Beijing has claimed the Spratly, Paracel and Senkaku archipelagos in the South China Sea; claims contested by Brunei, Indonesia, Malaysia, Vietnam, the Philippines and Taiwan. China's claims on the South China Sea region is a cause for concern given that around 25 percent of the world's total shipping trade travels through this area each year. As well as being heavily reliant on the security of its port. Any disruption to either the island's port facilities or its shipping by military action in the South China Sea related to territorial claims or counter-claims could have a serious economic impact on the island.